Known as the ‘mushroom shed’, this project involved the reuse of an existing industrial building to provide new offices for our developer client. Being hidden behind the garden wall to a Grade II* listed property, the design work was predominately associated with the interior of the shed, providing office space reflective of the developers status and aspirations. 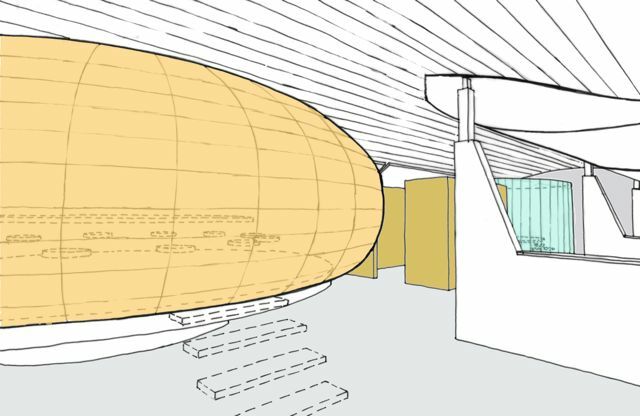 A number of pods were designed to sit within and separate the space, creating focal points along the central axis of the shed. 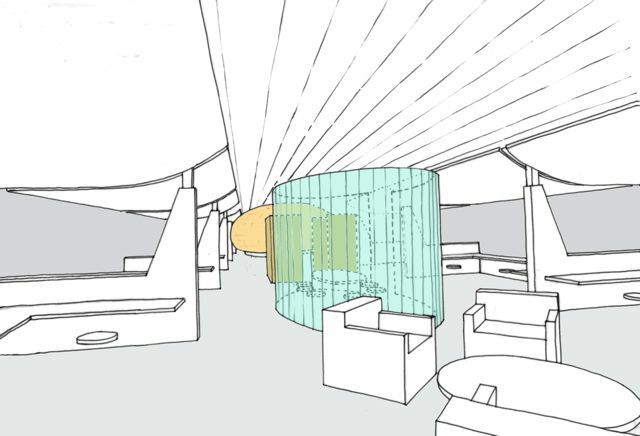 The focal point on entry into the office space was a raised circular meeting room pod, formed from equal segments. 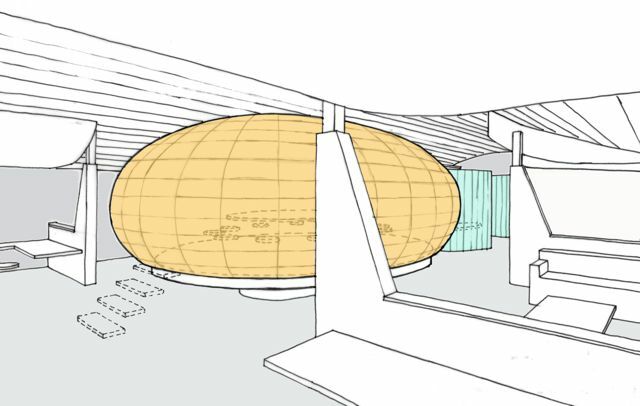 This concept later evolved into more of a regular shaped enclosure, taking influence from japanese screens. A bespoke coffee bar areas was detailed for more informal meetings. 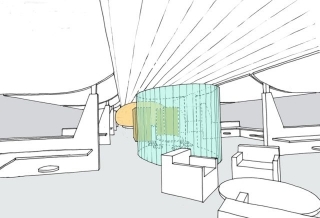 A stretched fabric barrel vault ceiling was proposed to both disguise the steel portal frame structure and to reduce the height of the office volume. This central vault area sprang from lower curved soffit areas located above the more modular desk working spaces to the perimeter of the shed, providing intimacy where it was required.